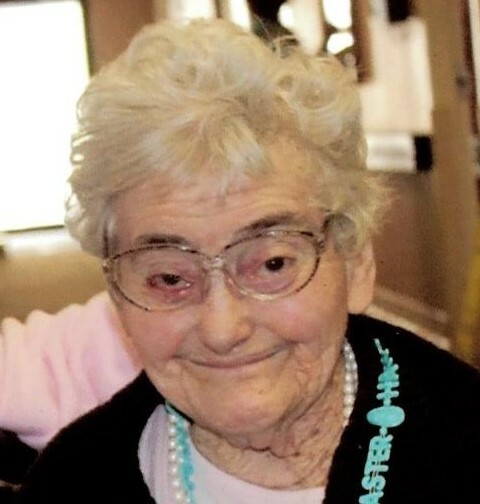 Doris Richards Obituary - SHINNSTON, West Virginia | Harmer Funeral Home, Inc.
Doris Mildred “ Mickey “ Richards, 91, passed away on Wednesday March 27, 2019 at River Oaks Nursing Home in Clarksburg, WV. 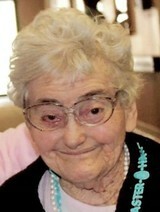 She was born on April 23, 1927 in Rinehart, WV. She is survived by a nephew Gerald Richards, niece Jeanette Polizzi and special cousin Charles D. Swiger. She is preceded in death by her parents Carl C. Richards and Mamie L. Swiger along with her sisters Dortha Yeater and Victoria Richards. Mickey enjoyed gospel music, attending church at Full Gospel Church of Wallace, crocheting and playing bingo. Friends will be received at the Harmer Funeral Home, 300 Pike St., Shinnston on Saturday, March 30, 2019 from 11:00 AM to 1:00 PM with Pastor Mike Flanary officiating, interment will be at the Centerpoint Cemetery. To send flowers to the family of Doris " Mickey " Richards, please visit our Heartfelt Sympathies Store.